Feb. 6, 2019, 8:14 a.m. 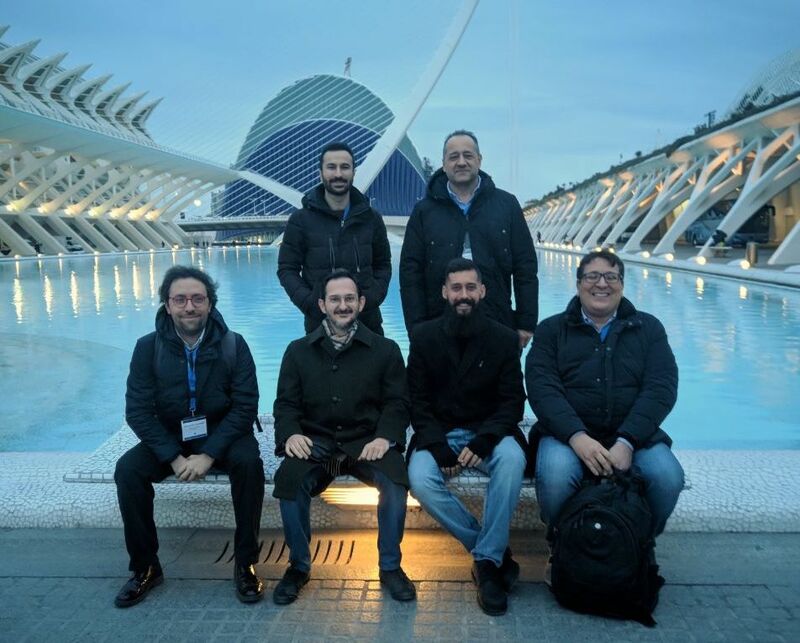 This year the annual HiPEAC Conference took place in the wonderful city of Valencia, Spain, between 21 and 23 of January, 2019. It included 79 sessions to discuss the several perspectives on the state-of-the-art of High Performance Computing and Embedded Architecture and Compilation. It also included associated workshops, tutorials, special sessions, poster sessions and an industrial exhibition running in parallel with the conference. M2DC has contributed to the several events organized by the HiPEAC network, with particular frequency during 2018. This year M2DC team was present at this important event with a couple of workshops and a poster on the cloud appliance. The Politecnico di Milano (co)organised two workshops at HiPEAC - the CS2 workshop (G. Agosta, G. Pelosi and A. Barenghi), on cryptography and security, and the PARMA-DITAM workshop ( G. Agosta, W. Fornaciari), on Parallel Programming and Run-Time Management Techniques for Many-core Architectures and on Design Tools and Architectures for Multi-Core Embedded Computing Platforms. Both workshops were quite successful, reaching around 30 attendees, pushing forward the limits of science on the mentioned domains. Another impactful presence of M2DC focused heterogeneous and low-power data center technologies at the HeLP-DC workshop. Within this event, two presentations were given. The first, presented by Ariel Oleksiak (PSNC), titled "Reduction of Costs and Energy Usage in Data Centres Using M2DC Heterogeneous Microserver Platform”, concentrated on introduction to the M2DC results, describing energy management techniques from the intelligent management layer including workload management, power capping and thermal control, and on a summary of potential energy and costs savings. The second presentation, given by Thierry Goubier (CEA), titled “M2DC SEE Framework: Using Deep Heterogeneity in Low Power High-Efficiency Microservers” discussed deep heterogeneity aspects of modern computing systems and introduced the M2DC SEE concept to the audience. These events were complemented by a poster presentation at the EU Projects Day poster presentation where the M2DC team discussed with the visitors the latest technological achievements in modular microserver technology. 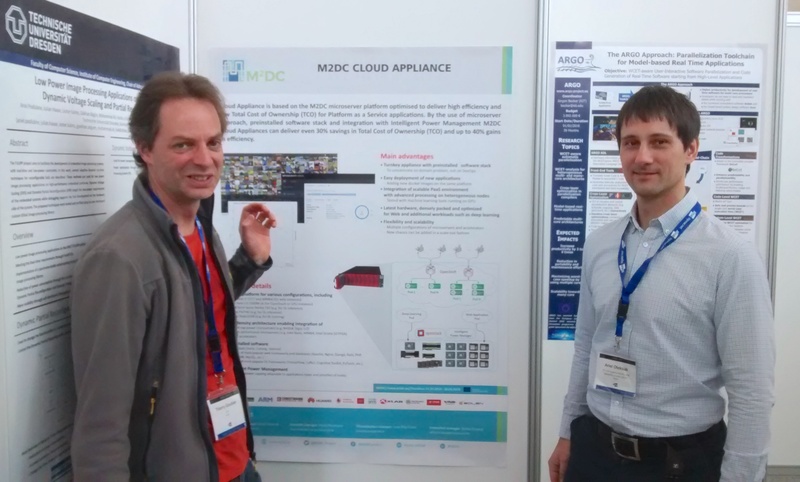 The poster focused on the M2DC appliance concept presenting the cloud appliance as an example. The poster and project results gained significant interest including questions about technical details of the applied microservers and foreseen ways of offering the M2DC platform. If you want to know more about the M2DC platform and its preconfigured appliances visit our product page and follow us at our social media channels. Stay tuned for more.